When something is good, you want to add it to everything-in this case you sure can! 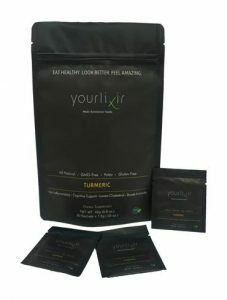 Yourlixir (www.yourlixir.com) is a multi-functional food that boosts, enhances and improves your energy, fertility and libido. Shake a packet into your favorite drink or dessert. It’s gluten-free, vegan and all natural, lowers cholesterol and is convenient to carry with you. Your daily superfood fix for life on-the-go, delivered directly to you. Enjoy better health and more enegy with our premier line of high-quality, 100% natural superfood powders including Ceremonial Grade Japanese Matcha, Peruvian Maca, Indian Turmeric, Spirulina and Activated Charcoal made right here in the U.S.